In this modern day society we often rely on technology to give us information and updates. We connect with our families and friends through the use of our social media accounts.It is easier nowadays to share opinions,recommendations and memories with just a click of a button. We spent more time in keeping tabs on what’s been happening in the digital world, our only time away from it is when we ran out of battery or when we go to sleep. Relationships are also being maintained through the use of technology. With chat and video messaging apps,we already bridge the gap of long distance relationships. Friendship are also built with technology through online communities for every interest or hobbies. With all the positive aspects of technology comes its adverse effects as well. Since we have been so dependent on technology, what will happen when we have no choice but to remove it from our lives to survive? Ang Babaeng Allergic Sa WiFi tackles the story of Norma, a millennial who was diagnosed with Electromagnetic Hyper-sensitivity -an unusual disease that makes her literally allergic to Wi-Fi data signals. She had no choice but to be sent off to a remote province to live with her grandmother. This film is presented by Cignal Entertainment in partnership with THE IDEAFIRST COMPANY AND OCTOBERTRAIN FILMS. It is their first venture into a full-length film, directed by Jun Robles Lana who also directed DIE BEAUTIFUL. 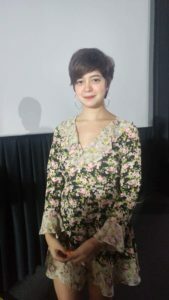 Sue Ramirez evolved giving us her own take on the character of Norma. She showed her versatility as an actress far away from her first major role as a supporting cast in the remake of Mula sa Puso back in 2011. She showed us that she can carry a dramatic scene plus she had this undeniable chemistry with her co-star Jameson Blake. The supporting character Angeli Nicole Sanoy as Aries’ bestfriend gave us some witty banter and funny moments. The movie’s trailer trended because of its unique concept and relatable situation of maintaining a relationship in this digital age like when Norma had to be far away from her boyfriend Leo without means of communication. It’s so hard to keep a long distance relationship. As the film progress we also see Aries, Leo’s brother, who is hopelessly in love with Norma who does everything to make her happy. This movie also gave us some insights on the desire of milennials to immortalize moments using their social media accounts instead of living it. There was a lot of current issues covered by this movie like the spread of fake news, sibling rivalry, and most importantly the possibility of disconnecting and appreciating the little moments that we neglect to see because we were too busy recording it or putting it as a status. There was also an unexpected twist that left me speechless and crying. The soundtrack is on point, intensifying every scenario. It’s a little bit dragging on the latter part and I needed a reason for how Norma overcame her illness. This film is a rollercoaster of emotions and this is why I would watch it again this August 15-21,2018 at the Pista ng Pelikulang Pilipino. August 30, 2017 (Philippines) – Julia Barretto and Joshua Garcia’s latest film “Love You to the Stars andBack” has started showing today in cinemas nationwide. Jollibee celebrates the cheesy opening day by treating hundreds of JoshLia and Cheesy Yumburger fans to an exclusive block screening in Metro Manila, Cebu and Davao. 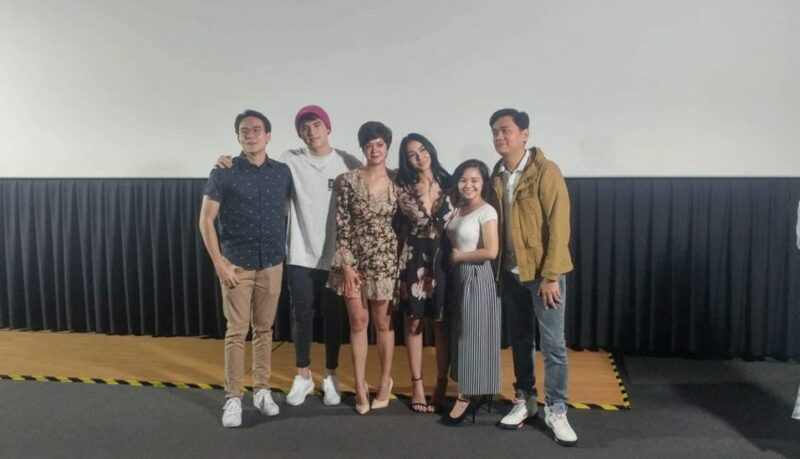 The film, written and directed by Antoinette Jadaone, is a fresh take on fate, young love, and life. Jollibee endorsers Joshua and Julia shared that the cheesy kilig moments in the movie are the best paired with the new and improved Jollibee Cheesy Yumburger, now made cheesier because of its new creamy cheddar cheese melted right on top of the Yumburger’s signature 100% beef patty! Enjoy the new JoshLia starrer and the super cheesier, langhap-sarap Cheesy Yumburger, now available for dine-in, take-out, delivery, and drive-thru in all Jollibee stores nationwide. Prices start at 45php. You will definitely love the movie and the Jollibee Cheesy Yumburger langhap-sarap experience….to the stars and back! Being a fan and literally growing up with the books and the film adaptation I had already anticipated the movie from the release of its trailer. The screening of Fantastic Beast and Where to find them last Saturday at Resorts world Manila was brought to you by Light Network channel 33 as an official media partner. Harry Potter is a world-wide phenomenon that can relate to any generation as J.K Rowling did not only introduce us to the wizarding world but also show us the meaning of friendship, love, family, adventure, acceptance of death, bravery, facing your own bullies and teen angst. So when the Fantastic beasts book came out it already provided a little introduction on the main protagonist Newt Scamander and more information about the beasts plus Ron, hermione and Harry potter’s funny scribbles and comments. The film started with the signature hedwig’s theme which made me feel a little nostalgic and some clippings from the daily prophet which was news about Gellert Grindelwald a powerful and dark wizard who was feared by many just like Voldemort. Fantastic beasts and where to find them has been set to the early 20’s with Newt Scamander played by Eddie Redmayne an expelled Hufflepuff who was now an eccentric, awkward and shy Mazooligist had arrived in New York on December 1926 with his suitcase that houses a menagerie of whimsical beasts. Although he has this aloof personality he has a strong passion about preserving and observing many magical creatures. He already traveled five continents just so he can research and make a book so that the wizarding world can also share his cause about these beasts. This film stands on its own unique charm as along the journey to New York and due to the troublesome, adorable and shiny object hoarder Niffler a creature that is a combined platypus, mole plus a duck who likes to collect things on his pouch. Newt accidentally bumped into Jacob Kowalski a No-maj this is equivalent to a Muggle who aspires to own a bakery but gets rejected by the bank. Newt had no choice but to perform magic in front of Jacob as his current situation of capturing the Niffler and getting the magical egg that was in Jacob’s hand got way out of control. He was supposed to cast a memory charm but failed to do so and his suitcase got switched in the process. Newt was then arrested Porpentina Goldstein an ex- auror who was dismissed due to revealing magic in front of Marilou Bariborne a No-maj after she beat up her son. Porpertina brought Newt to (MACUSA)Magical Congress of the United States of America but her claims have been dismissed by Percival Graves played by Collin Farrell when they saw that Newt’s suitcase content was full of bread. In hopes that she would redeem herself, she helped out Newt find Jacob which was already too late since the latter already unleashed almost all of his beasts. Porpentina offered both the guys a place to stay and introduced them to Queenie her telepathic yet alluring sister who Jacob adores. As the story progress we also have seen Newt’s personality develop from the guy who can’t look at anyone’s eyes to building friendship with Jacob. Jacob on the other hand proves to be his own character as he provides comedic relief and astounding facial expressions especially when he was inside the menagerie. The presence and the capture of some of the beast are truly epic as it brings out Newt Scamander’s dance skills when capturing an erumpent a crossbreed of a rhinoceros and an elephant with a horn that glows. After that Porpentina captured Newt in a suitcase and was bought back to the MACUSA. Newt was interrogated as there was a recent killing of an unknown beast who vanishes after attacking the running state senator. Graves became interested in Newt after he defended his suitcase full of beasts that they won’t pose any harm. He also suggested that a rare beast may have cause the killings. In which Graves and the council reputed that it was already centuries since the presence of such. Both Newt and Porpentina was sentenced to death by the MACUSA bringing them to a room with a large pensive that can devour them. Luckily Newt was quick on his feet and brought out the creatures that are worth to be mesmerized about like the clingy bowtruckle tiny green twig like creature who specializes in removing locks. Sensing her sister is in danger queenie with the help of Jacob rescue both Newt and Porpentina. This is how those 4 embark on the journey to capture the remaining magical creatures.Even the Thunderbird which Newt was trying to bring to the wild of Arizona holds a spectacular performance. There was also a serpent like creature with blue scales that can be stored in a tea pot. The film also switch to a family of muggles who rallied up against magic and distributes flyers around the city. Headed by Marilou Bariborne a woman who abhors magic and is strict to her adopted children especially to credence who she beats for almost everything. When the family’s house exploded they seek help regarding the exposure of magic to a running senate candidate who in return throws them out and mocked Credence. Graves on the other hand is asking help from Credence in his search for the rare beasts. Credence being a boy who was usually abused physically by his mother abides to Graves instructions. While Credence was investigating he finds a wand on his sister Modesty’s room and yet its discovery was only snap in half by their mother. The rare beasts kills again and drove someone into hiding. Graves on the other hand seeks Credence help to track down the person who was in hiding and in the process crushing Credence’s confidence that he can’t amount to anything as he assumes he was a squib. Again the sighting of the unleashed rare beast was cornered on a train station only to face Newt and Porpentina who tried to pacify it. The ending was truly delightful as the real perpetrator was exposed. But there was also a dark side to the film like the destruction of something that was supposed be saved and a goodbye that marks the end of an adventure but opens up a new door for opportunities. I would not go into detail on what happen you just have to find out for yourself. The antagonist provided the baddie who was full of empty promises, seeks more power that he wanted to control with a mission to expose the wizarding world to the No-maj.
J.K. Rowling’s flow of the story is truly quintessential as it still incorporates the Harry Potter characters and familiar names such as the mention of Albus Dumbledore and the discussion of the friendship between Leta lestrange and Newt Scamander. There was also a mention of comparison between Hogwarts and llvermorny school of witch craft and wizardry. What I love the most about the film is that they don’t hold back on the use of their magic even if it was already exposed to the No-Maj. As for the music they introduce us to the golden era of jazz. 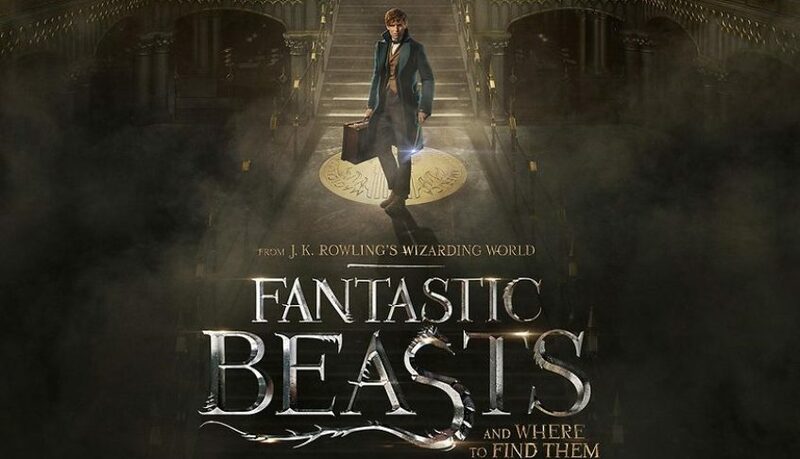 David yates the director of this film and the last 4 Harry Potter films brings out a new flare of magic that will cast a spell on the audience hearts. This film was a gem in a rough as it stands on its own away from the mystical world of the castle life in Hogwarts. Some parts of the movie are scattered clues of the next film as it pulls me in delighting my curiosity with not a single ounce of answer given. It was like figuring out my way without using the Marauders map yet indulging me with knowledge that all these series of events will come together in the next franchise. I love the movie as a whole especially the montage of those fantastic beasts.